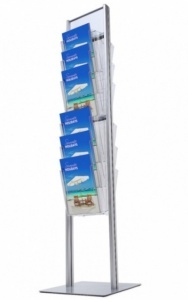 The BR is a freestanding double sided literature / brochure stand. 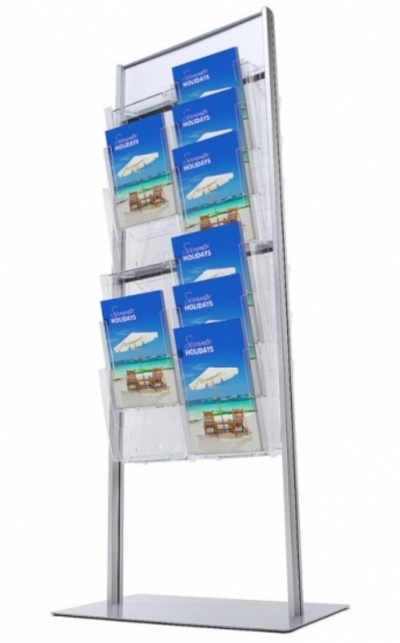 With an anodised aluminium frame it has a header panel for optional branding ie vinyl graphics etc. 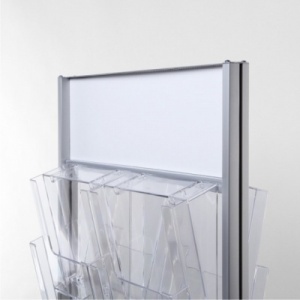 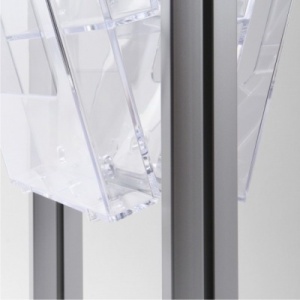 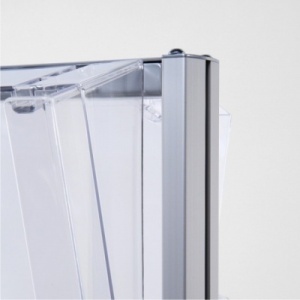 With clear injection moulded A4 Portrait brochure pockets to each side the single width brochure holder has 6 x A4 pockets to each side while the double width brochure holder has 12 pockets to either side. 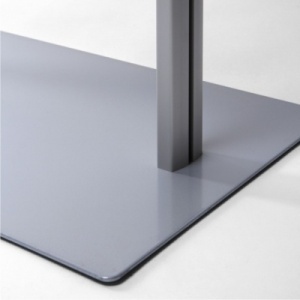 Both models come with a steel base plate which has been powder coated to RAL 9006 Silver. 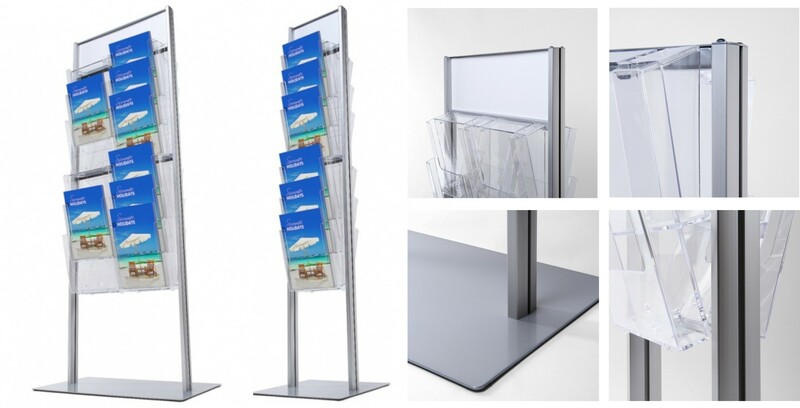 Both models come fully assembled and ready for immediate use.